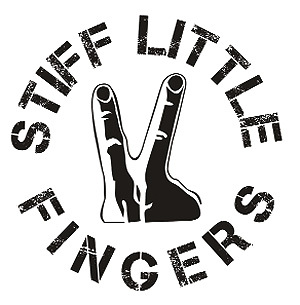 When I was a teenager one of my favourite bands were a group of young men from Northern Ireland called Stiff Little Fingers. Every so often I would accrue enough money from my paper round to head down to Lawes Radio and treat myself to some new vinyl; Bauhaus, The Stranglers, Velvet Underground, The Cure – all of these and more. But most of all it was SLF. The raw noise, raucous guitars and tribal bass combined to make noise like no other band at the time. The songs were catchy and sung in a way that even people who could not sing (me) could sing/shout along with them, and they wrote songs about real things that actually mattered. I really liked them. Unfortunately, growing up in the rural South West of England opportunties to watch bands were rare. Even if there had been opportunities, the chances of my being able to raise the money, or my parents consenting to me going to watch a ‘punk rock band’ were negligible. So I resigned myself to listening to ‘Hanx’ (Stiff Little Fingers early live album) over and over at volume in my bedroom. Eventually, when I started college, I moved away from home and began to go and see bands. Those were heady days, late nights, loud music, road trips and the start of a lifetime of standing in crowded venues waiting for bands to come on stage. This was inevitably followed by getting home late, with ringing in my ears, clothes smelling of smoke and beer, tired but happy. At that point Stiff Little Fingers were no longer a going concern, they had split up and stopped recording. So I resigned myself to having missed my chance to see them, along with several other bands from my teen years that I would have liked to have seen. When they reformed in 1987 the opportunity to go and see them never arose and the chances came and went. But a few years ago I got another chance. They were playing at a university close to where I live, my parents no longer have the right of veto so decided I would get a ticket and see what the voice of teenage rebellion looked and sounded like now it was into its forties/fifties. The audience creaked a bit; there was less hair than there used to be and more stomach. But the band…the band rocked. They still had the fire of youth and energy of young men in their sound. I met some old school friends, had a great night and enjoyed myself.